Transponders are issued to all members of the velodrome and are also fixed on the track hire bikes. Please follow the below instructions on how to set up your transponder. 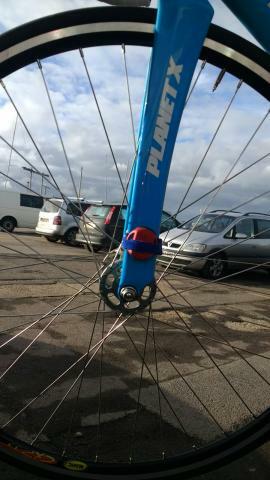 The transponder should be place in a vertical position on the front wheel of your track bike (see image below). To access your race data follow the instructions on how to register your personal transponder to the My Laps site here.